Jonathan M. Herbst is a graduate of the University of Delaware (B.A., 1999) and the University of Maryland School of Law (J.D., 2003). Prior to joining The Herbst Firm in 2017, Jonathan practiced as an attorney at several prominent law firms in the Baltimore area, including working for more than seven years at Royston, Muller, McLean & Reid, LLP in Towson, Maryland. Jonathan focuses his practice on business and real estate transactions, as well as business and commercial litigation. Jonathan assists small business owners with every aspect of business organization and operation, including handling various employment-related issues and litigating employment disputes. 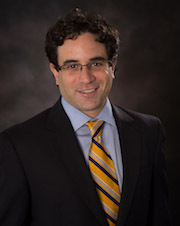 Jonathan also represents lending institutions in connection with mortgage loan workouts, bankruptcy and foreclosure proceedings. Jonathan lives in Baltimore, Maryland with his wife, Irina, and two children, Madelyn and Sam. Sports Boosters of Maryland, Inc.